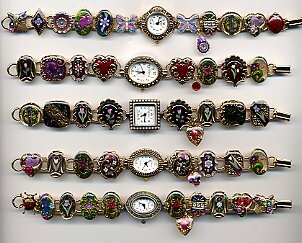 These are sample watches only. They show what you can expect if you order one of the watches below. 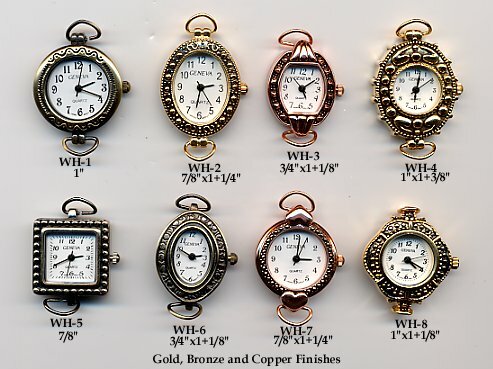 This is a selection of our Gold, Bronze, and Copper finished watch heads. Choose the watch head you want and then select the band color. 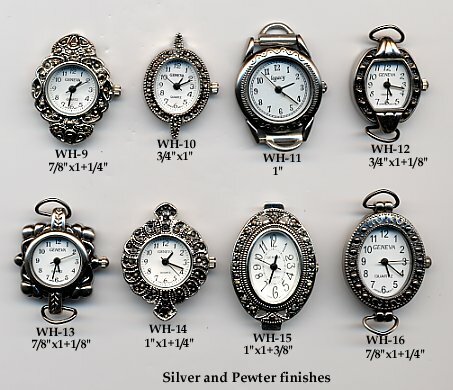 This is a selection of our Silver and pewter finished watch heads. 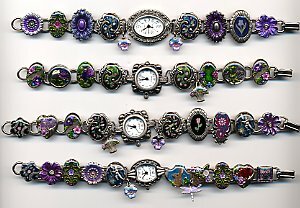 Choose the watch head you want and then select the band color.